It’s hard to be freelance sometimes. In early September I was having a crisis of employment. I had a project to work on but increasingly I was speaking to people who are unemployed, under-employed or “getting by”. I had plans for giving some work out to help them but I knew it wouldn’t be close to enough and I couldn’t give away all I made or I’d be broke. Then I had a dream and posted it on Facebook the next morning. 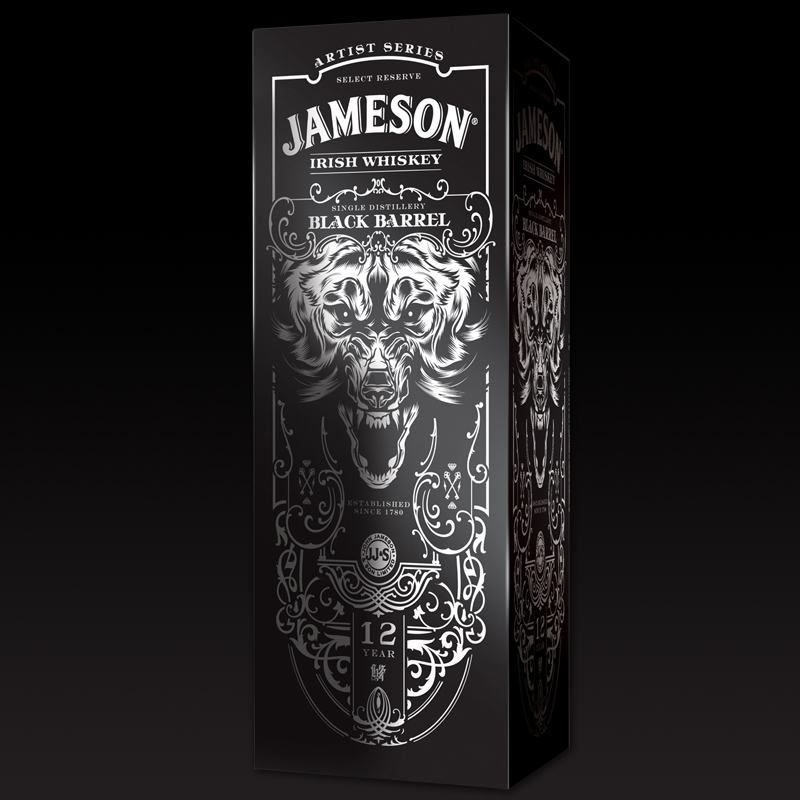 The reaction was overwhelmingly positive and I felt emboldened to go ahead and plan something. I felt like I was helping. My first task was to secure a location. I reached out to The Handlebar and asked if I could have a night to run an event. I’ve been part of other events at Handlebar and Rachel (the owner) is extraordinarily accommodating. She told me to look at the calendar and find a night. 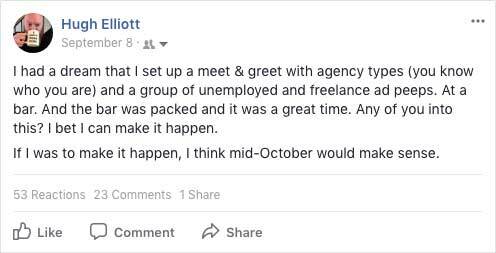 October 18th was free and that became the booking. Next task is to work out format. A networking event is fine but I’ve been to many networking events that amount to very little. I wanted to spur conversation. But I didn’t want to have 20 minute session in which people had a chance to get bored. And so starts the idea of three-minute elevator pitches. One hour of pitches, followed by networking. My hope being you saw someone speak and wanted to follow up afterward. An event is not a personality. Or person, for that matter. I needed it to have a name. The longer I called it “a networking event”, the less legitimate it felt to me. So I needed a name. As it so happens, I’d registered a URL a couple of months previously I felt fit the core concept. 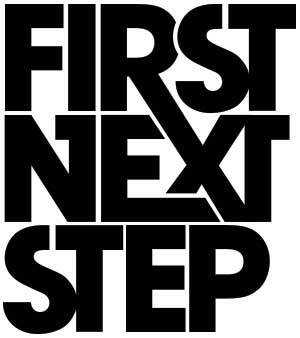 First Next Step. I’d registered in the hopes of starting some manner of e-learning pointer system but I got bored and realized who needs that? So First Next Step was repurposed for my event. It had no identity. If you’ve ever seen how I design, you’ll know I like minimal. I mean min. 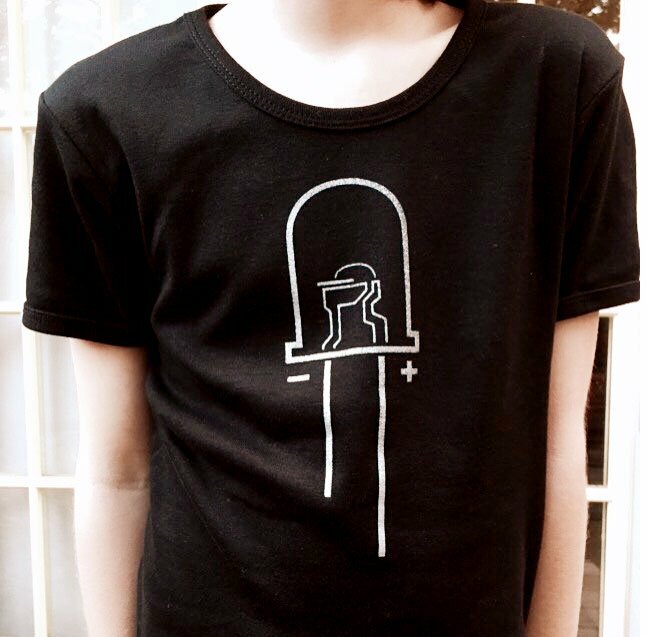 ih. mal. A silhouette or key-line is sufficient. I needed help with the identity. The person I knew who could knock this sort of task out of the park is Joshua Smith aka Hydro74. Joshua is a long-time friend and he is fast and amazing. I knew if I asked him for help, and he had some downtime, he’d kill it. And he did. I asked and twelve hours later, he sent over a set of mocks. I could have cried. I can’t thank Hydro74 enough for his help. Thank you. Thank you. Thank you. The channels of where to try and build an audience already exist but I needed to augment my presence. Website – Exported a calendar file that could be downloaded to serve as a reminder. Embedded a map to The Handlebar and a basic description of me and the event itself. Facebook -Set up a First Next Step page and an event tying back to the 18th. Linked on my personal page to both to see who’d be interested. Posted a link to the event on Toronto Ad Jobs & Networking run by Gerard Adderly. This is an active group and I felt if anyone was looking for work, this is where I’d get the best response for presenters. Linkedin – Began posting occasionally about First Next Step to generate buzz. 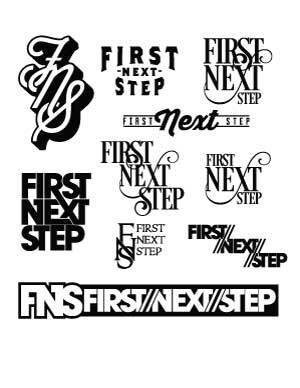 Twitter – I tweeted about First Next Step a few times. Also, I ended up setting up an Instagram account and Twitter account. Just in case. That’s not true. I was busy with a project and it was winding down just as I was taking on pitch requests, answering questions, organizing, planning and generally making sure the night would happen. As each person reached out, I became more excited. A copywriting team here, a proof-reader there, an employer with a cool job. Then I‘d be in conversation somewhere and it would come up “I’ll be there!”. Problem is, I never needed a partner. I needed a sounding board in that moment. After a week, I realized I could manage the event without anyone’s help. I wasn’t going to get silly and over-plan. I didn’t need a massive website (the part for which he wanted to be a partner). I reached out to get another face to face so I could tell him this but the timing never worked out. The day of the event he asked if I needed him to come early to help set up and I laid it all out. Doing this event wasn’t going to make money. Its purpose is to get other people jobs. If I was to get a sponsor or something, it would be to provide free drinks or food. Anyway, I let him know and it likely damaged our friendship but if I don’t admit the incident here, I’d be less than honest. Sorry, Erich. I walked in to The Handlebar at 7 pm and shook hands with Pete the bartender who also, as it happens run a cool diy garage called Moto Revere. I set up some chairs, tested the projector and got to work saying hello, speaking to the pitchers and generally getting ready. It was a lot of fun. Were would First Next Step be without the elevator pitches? Nowhere. Here, in order of appearance are the pitchers. 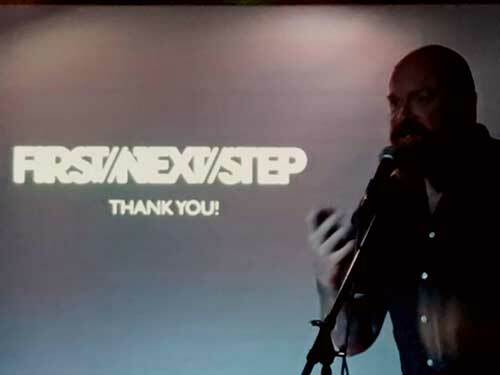 The keynote has been uploaded to the First Next step website. Feel free to take a look! The night went as I hoped and I had a crowd of 50 – 60 people. I was blown away. Once the pitches were complete, I opened the floor to questions and the first and only question yelled at me from the darkness was “When‘s the next one?”. I blurted out “I don’t know. Maybe spring?” So yeah, maybe spring 2018 there’ll be another First Next Step. Want to hear about the next event or potentially other, infrequent updates?